The most time-consuming part of making a pie is the crust, and mine don’t usually turn out all that well anyway. That’s why when I make a summer pie, I skip the fuss and use refrigerated pie crusts from the store. They taste great and cut the pie prep process in half! 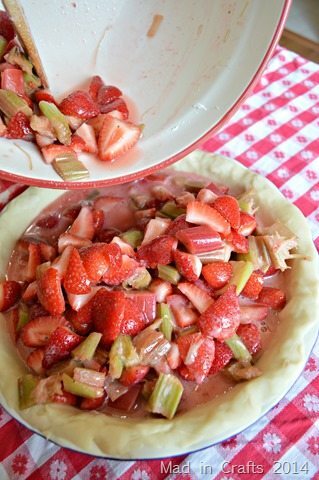 When you take help from the store, you can have this strawberry rhubarb pie out of the oven in an hour! The filling of this pie has the bright taste of summer strawberry and tart rhubarb. 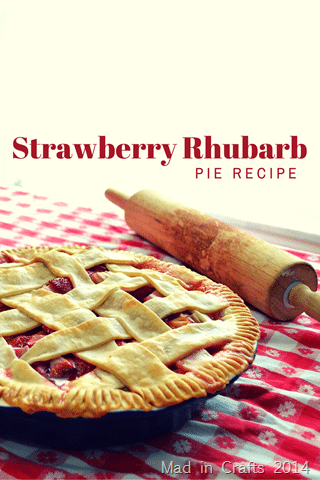 Just combine the fruit with sugar and flour and pour into the bottom pie crust. Doesn’t that just look like summer to you? I won’t judge you if you snitch a few strawberries right out of the pie plate. 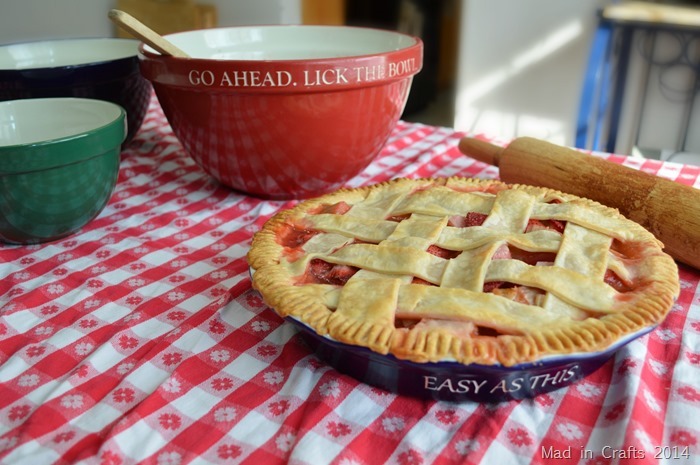 Do you like my personalized pie plate and mixing bowl? 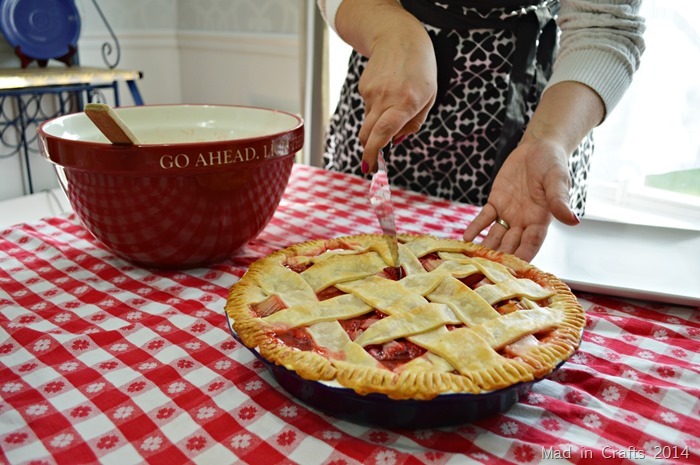 Cut the remaining pie crust into strips and crisscross them on the top of the pie. 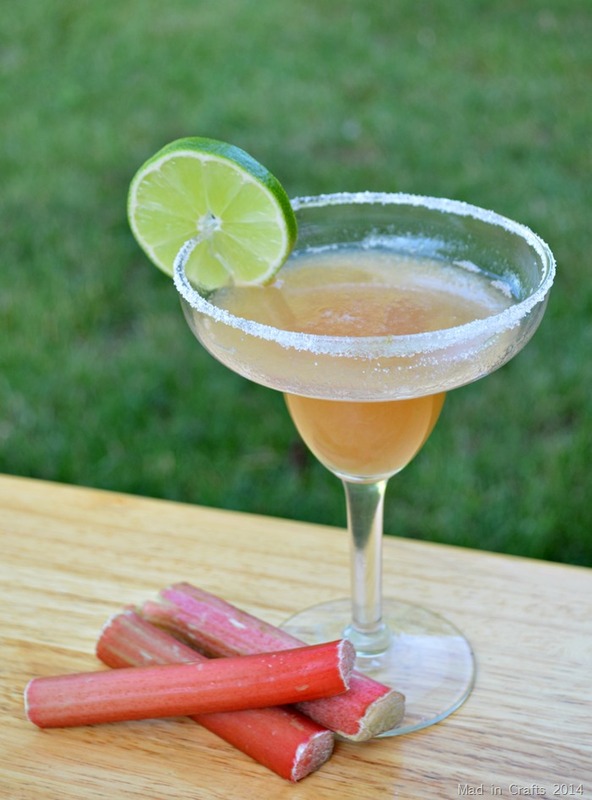 Finish by sealing the edge of the crust with the tines of a fork. Bake in a 425 degree oven for about a half an hour, or until the crust is golden brown. Let it cool before serving. Serve up a slice with a dollop of fresh whipped cream or a scoop of vanilla bean ice cream. 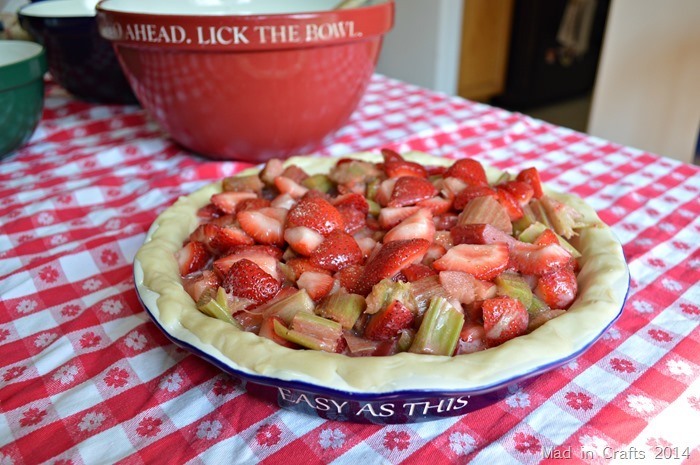 Enjoy this sweet summer pie! Mix together strawberries and sugar until berries are coated. 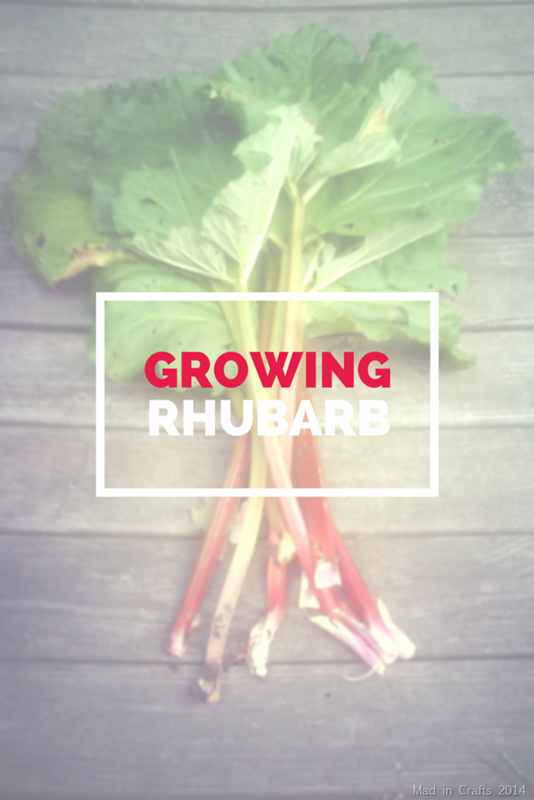 Add in rhubarb and flour. Stir to combine. 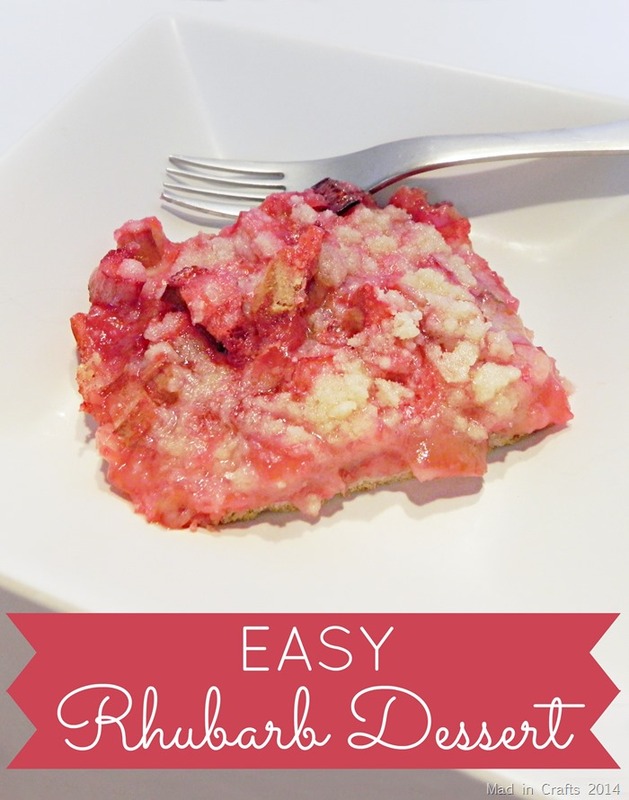 Press one pie crust into the bottom of a pie plate. Pour filling into crust. 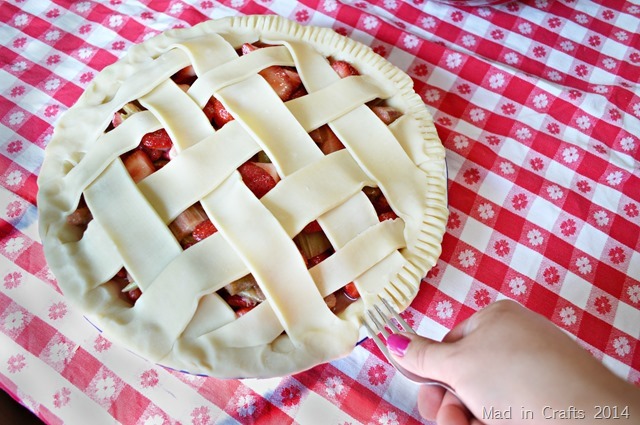 Cut remaining refrigerated crust into strips and weave them into a lattice top crust. Seal the edges of pie with times of a fork. Bake in a 425 degree oven for 30 minutes or until crust is golden brown. 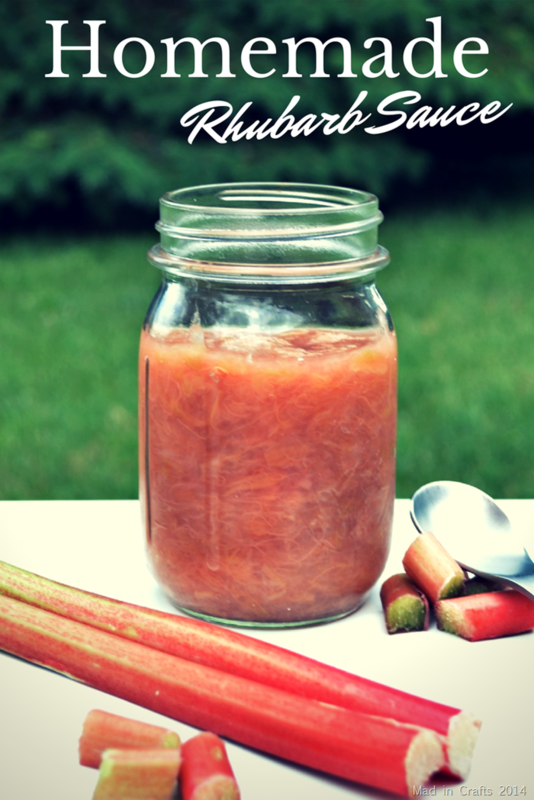 If you are looking for other delicious ways to use up your stock of summer rhubarb,check out these tasty recipes. I LOVE your mixing bowl! It’s awesome! The pie looks nice and all but the Mixing Bowl! It’s awesome!